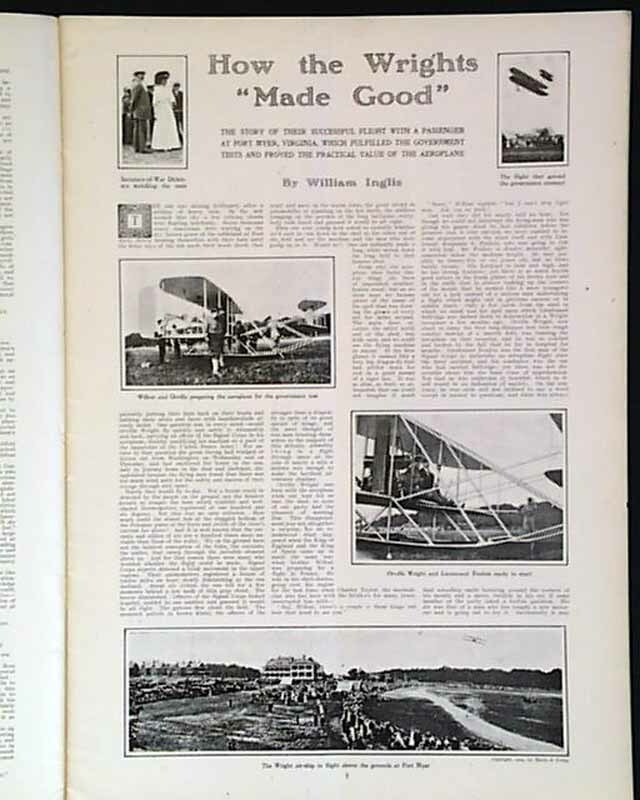 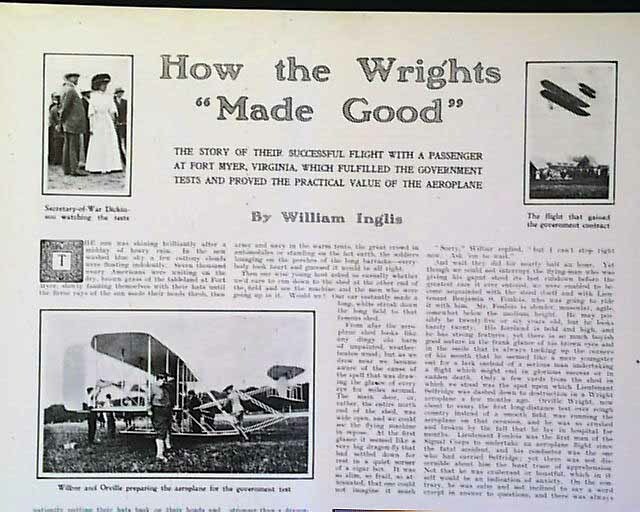 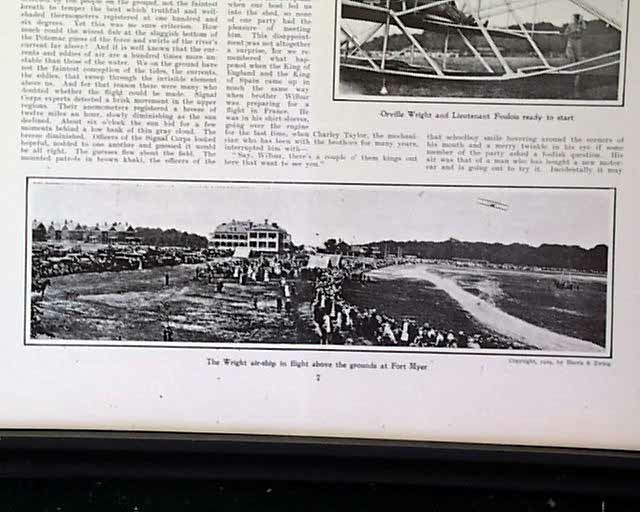 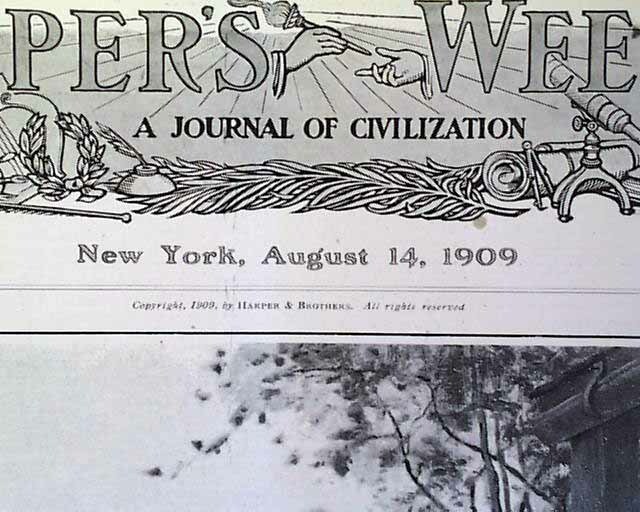 HARPER'S WEEKLY, New York, Aug. 14, 1909 The prime content within this issue is the page 7 and 8 article with prints: "How the Wrights Made Good - The Story Of Their Successful Flight With A Passenger At Fort Myer, Virginia, Which Fulfilled The Government Test And Provided The Practical Value of The Aeroplane" (see). 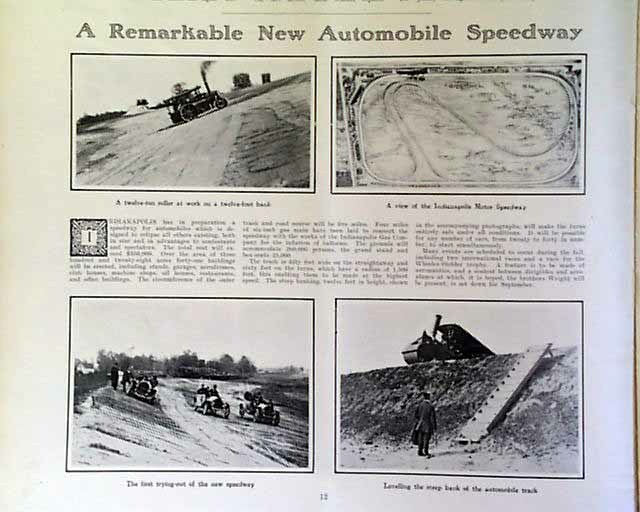 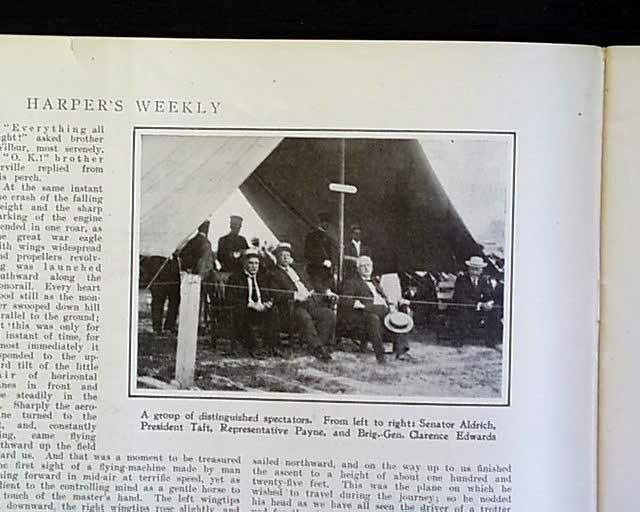 Of additional significance is the article (with prints) regarding the Indianapolis Motor Speedway on page 12. 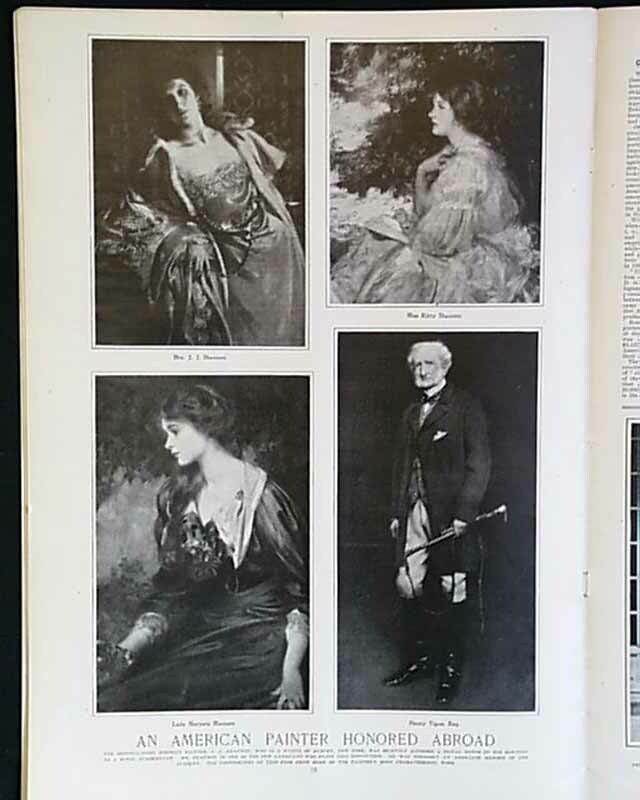 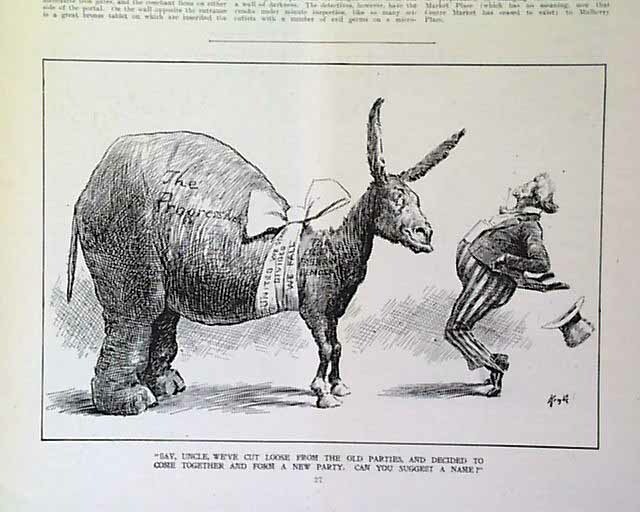 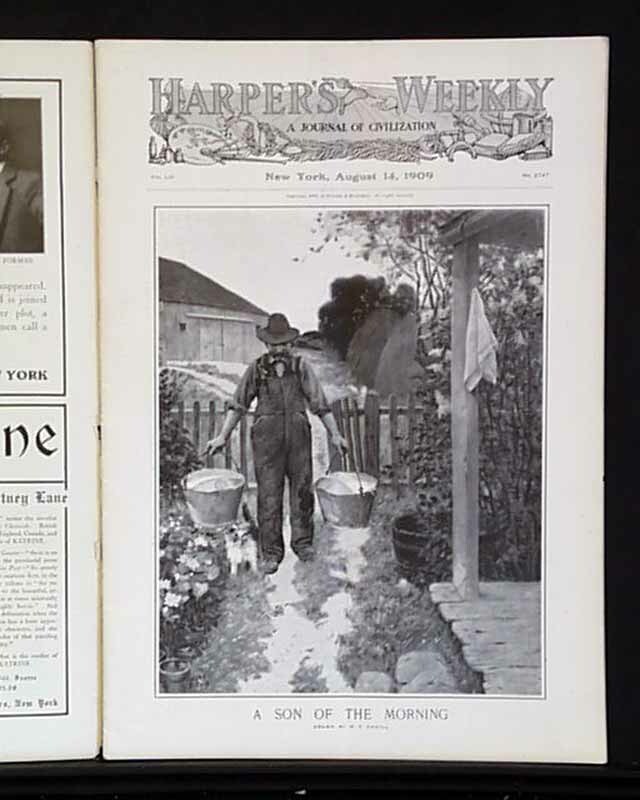 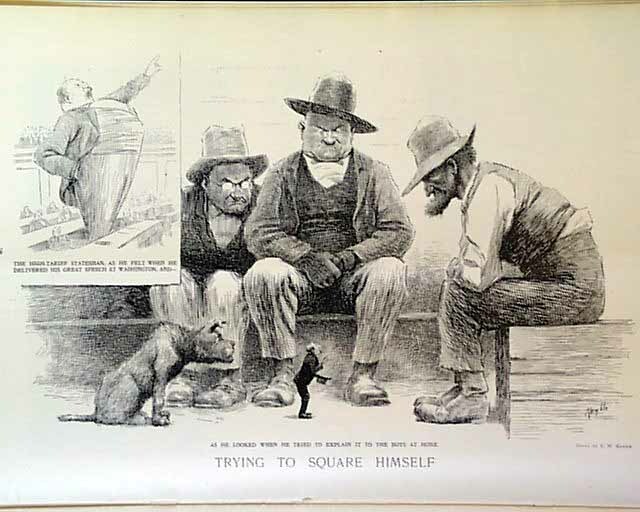 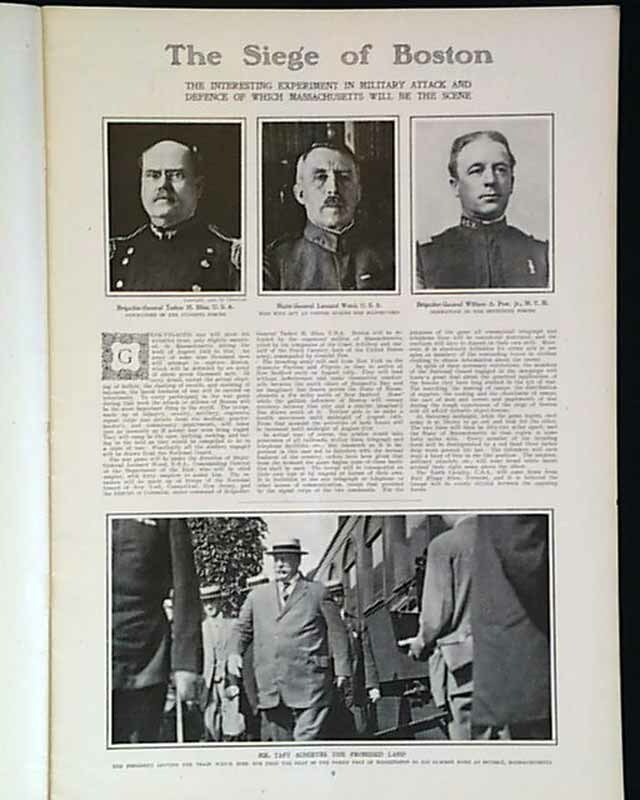 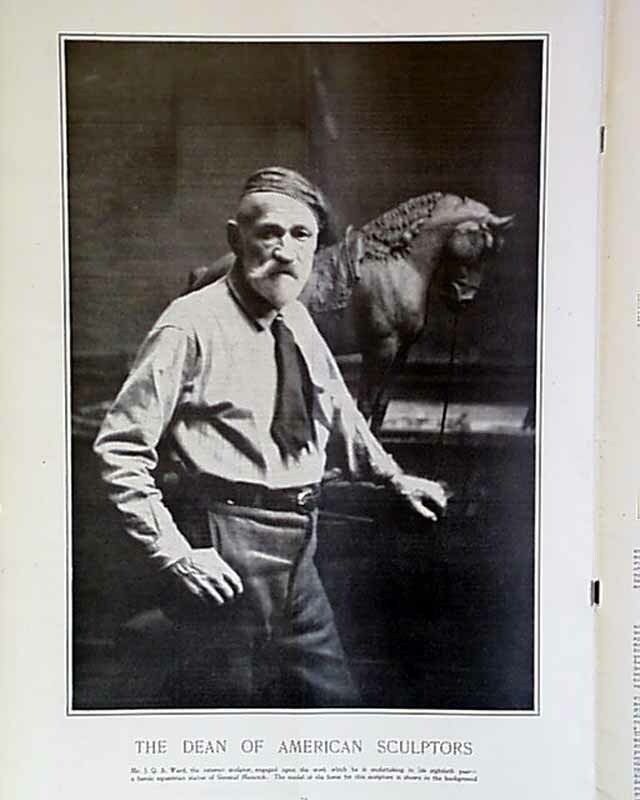 Also inside: A Son Of The Morning", "Mr Taft Achieves The Promised Land", "Trying To Square Himself" by E.W. 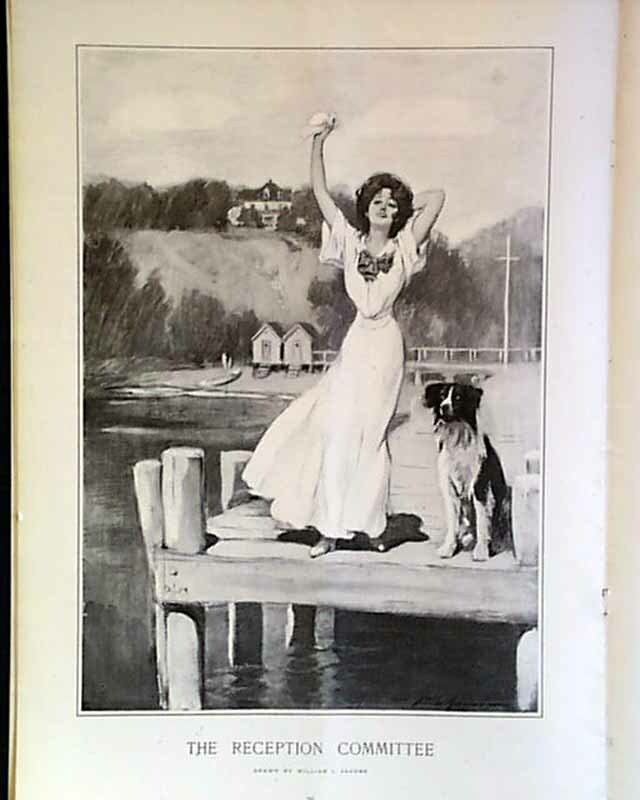 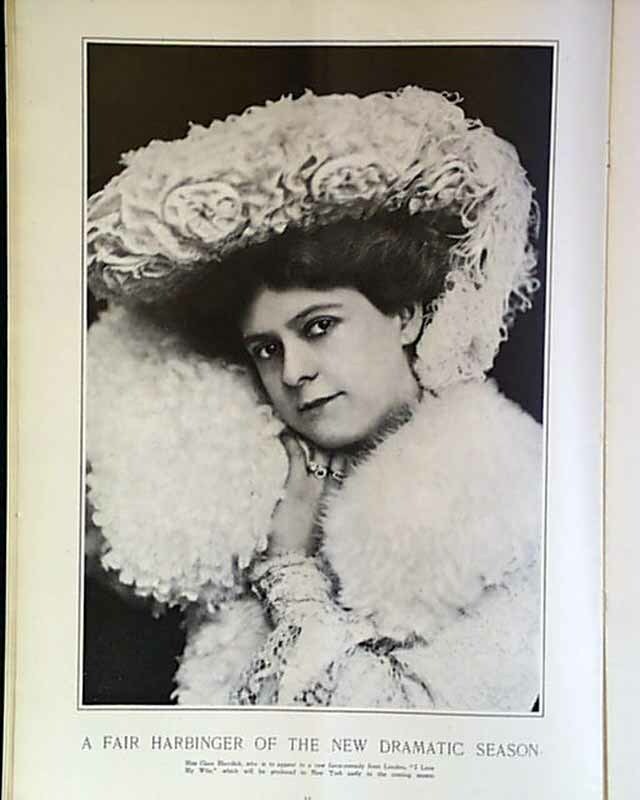 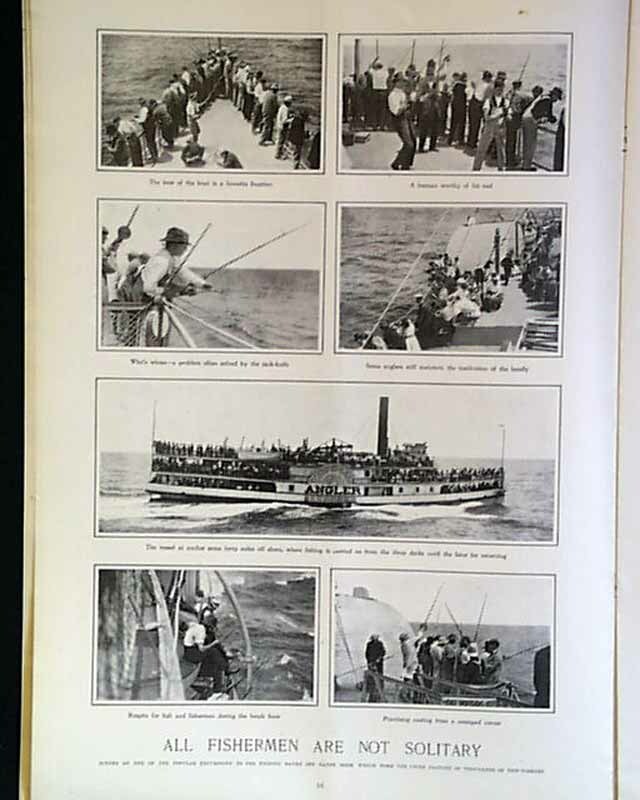 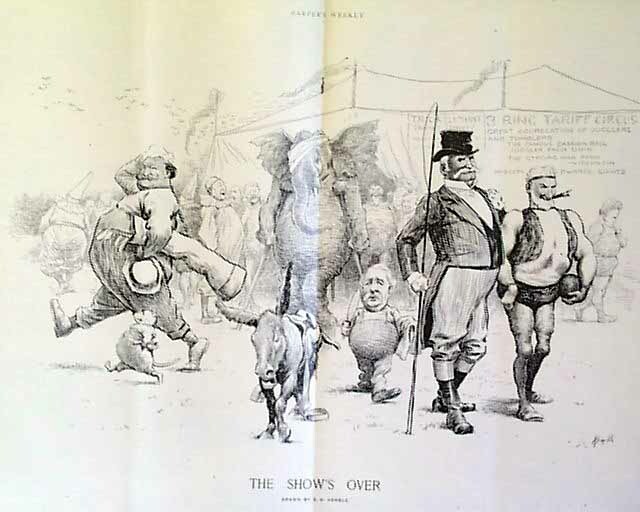 Kemble, "The Woman of the Light" (lighthouses), "All Fisherman Are Not Solitary", the wonderful circus themed double-page print, "The Shows Over", by E.W. 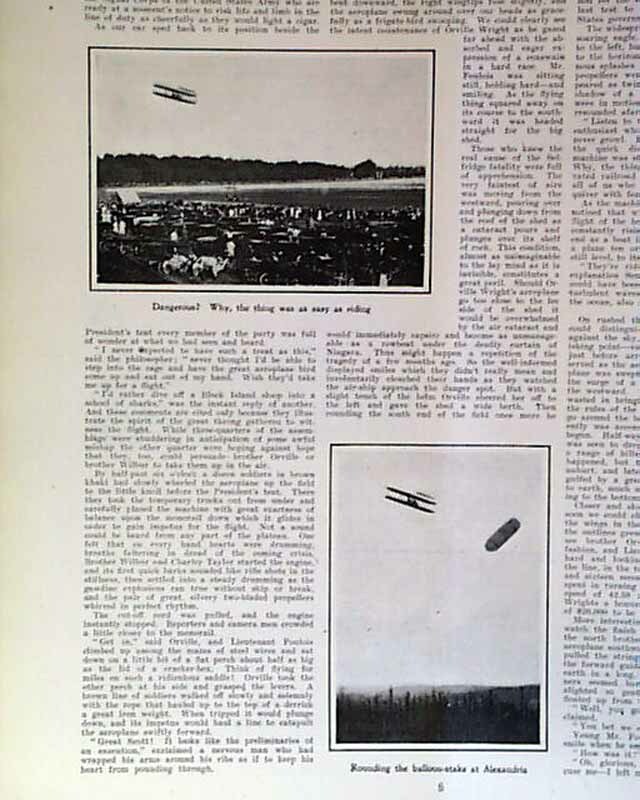 Kemble, and much more.